Yok Don National Park is a national park located in Krông Na commune, Buôn Đôn District, Đắk Lắk Province, Tây Nguyên of Vietnam, 40 km west of Buôn Ma Thuột City. The park was established in 1991 to protect 582 km² of a biological area of khộp lowland forest. The total area is 1,155.45 km² (not including a buffer zone of 1,138.9 km2). It borders Mondulkiri Protected Forest (Cambodia) to the west and is part of maybe the largest protected area complex in southeast Asia. Yok Don is home to more than to 858 species of trees, 200 bird species, many reptiles, insects and 93 types of animal – unfortunately 32 of them are on the Red List. Large herds of gaurs, wild bulls, Eld’s deer and elephants once roamed Dak Lak province but deforestation, hunting and illegal wildlife trade has all but wiped them out. The best time to go trekking is dry season from October to April, the optimal time is at the beginning, from October to December, when temperatures are pleasant. Then it begins to get very hot until the rains break. It’s still possible to trek in rainy season but expect lots of mud and high waters that will cut off routes, making for shorter (though not easier) distances. 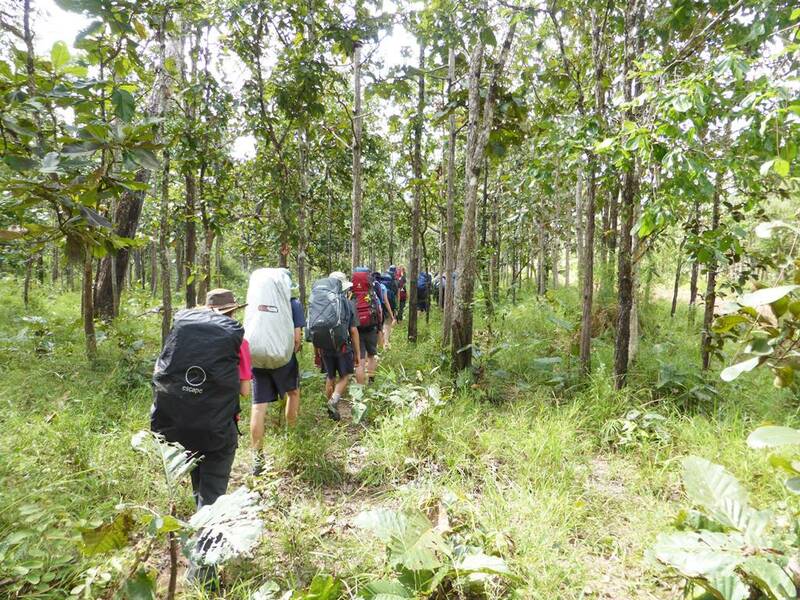 Whether you choose a day hike or an overnight trek, a park guide is mandatory since the Cambodian border bisects the park. For a day hike you’ll cover 16 kilometres on moderate terrain, with some fording of small streams required. Camp is made near a ranger station in the park. You’ll need to provide and carry your own daypack for personal items. Yok Dok has a surprising number of other activities on offer, ranging from boat trips on the park’s Srepock River (maximum three people per boat), catch and release “fishing and hammock time” where you can have a beer and watch the locals on the river at sunset, to swimming with the elephants. One activity that really stands out is the Buon Don Local Cooking Class. A local Ede family shows you how to prepare a typical Ede meal – we were told to expect spicy, sour flavours. It can also include a visit to the local market.